Tiananmen Square is an important place in Chinese history. Besides it being a landmark. Occupied by thousands of students in a protest for more freedom in government. Close to the Forbidden City in Beijing, China and is the world's largest public square. In 1989 however, it was home to a violent and devastating military crackdown. 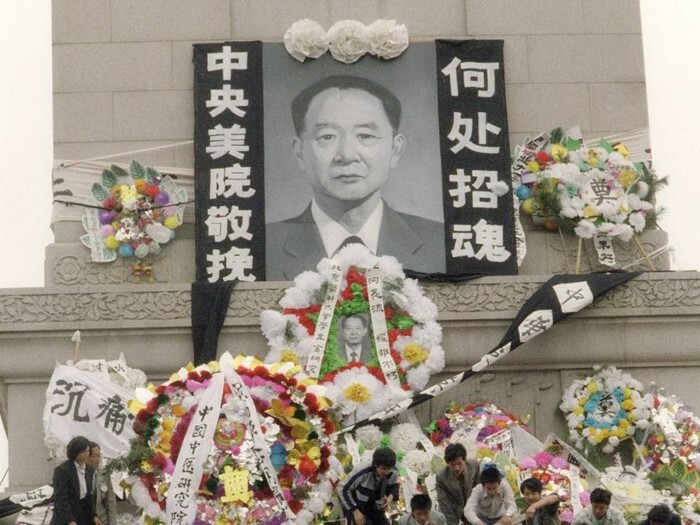 April 15, 1989 marks the death of popular Chinese Communist party leader and Liberal reformer Hu Yaobang. His death brought his fans together and they realized what they wanted their government to be- more democratic. Many people thought the Chinese government was corrupt. They wanted more political freedom and economic and political improvement. 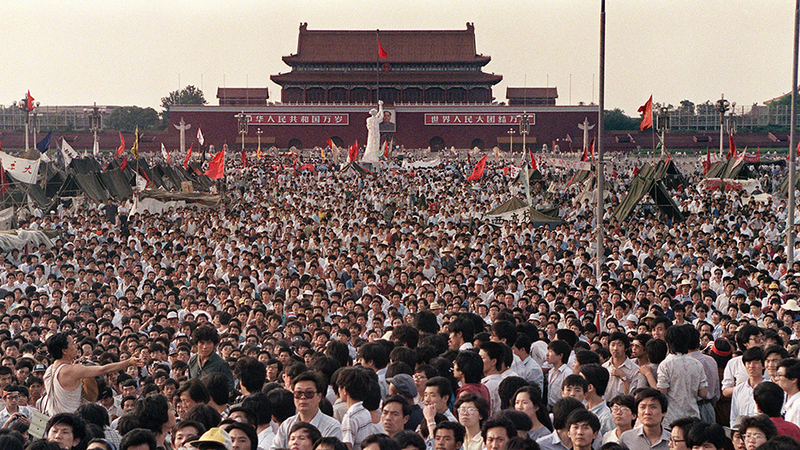 So in April, 1989, students started a protest at Tiananmen Square. Student shouted democratic catchphrases and occupied Tiananmen square. Many people even went on a hunger strike for their cause! Eventually, there were over 100,000 people occupying Tiananmen Square! The police tried to stop the protests peacefully, but failed. 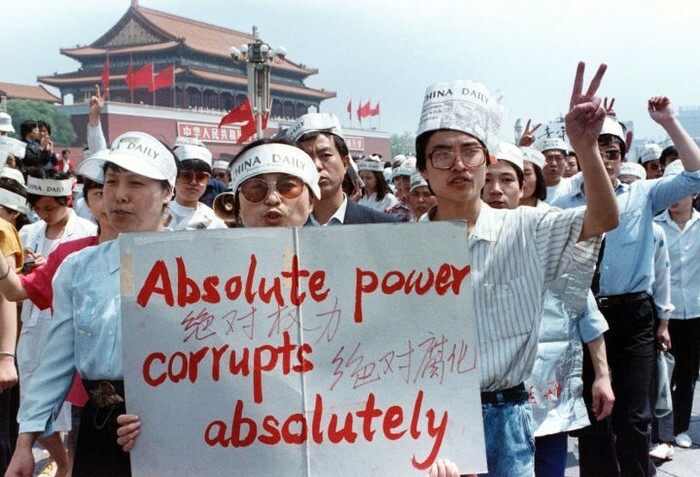 Eventually, conservative government official Li Peng announces Martial Law, and that the protesters must leave Tiananmen, or the army will get involved. The protesters wouldn't leave, so in the first attempt to make them leave, soldiers came unarmed to try to get them out. That didn't stop the people either. The next day, the soldiers came with clubs and beat the protesters, but they still wouldn't stop! So they used their last resort. The army came armed the next day, and they has tear gas, ammunition, and even tanks! Many people escaped, but some were shot trying to escape. Some people stayed and still protested. The army was not bluffing at all with the tanks. They fired them at the crowds and killed many. After twenty four hours of killing, the square was no longer occupied. The government claimed there were about 300 casualties, but protesters claim there were up to 3,000 deaths by the army. And even after the protest tanks were still everywhere. 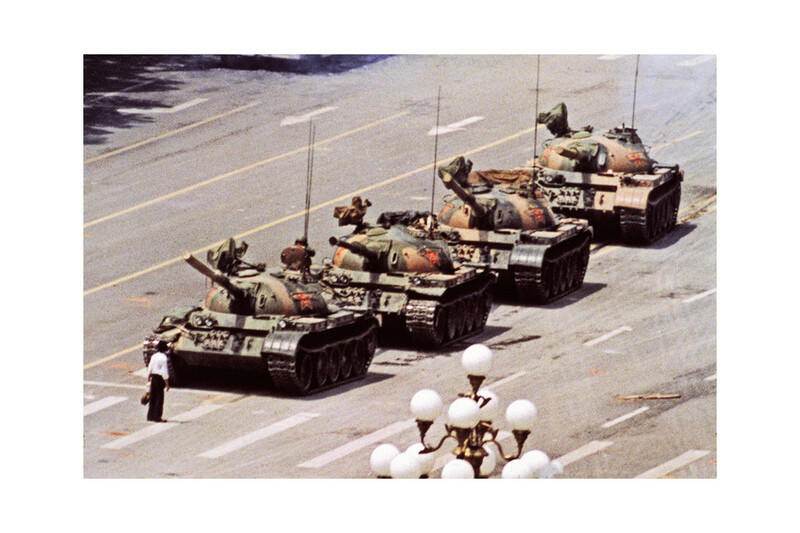 One man known as "Tank man" stood right in front a tank, blocking it. Wherever the tank turned, he walked right in front of it and waved a plastic shopping bag in the air. He became a symbol of Chinese resistance and freedom and democracy. How did they take a stand? The protesters took a stand for more political freedom in Tiananmen Square because, no matter how many challenges the government had in store for them, they still fought for what they believed in. Even military tanks couldn't stop most of them!